More than a few of us are guilty of not doing enough exercise, but in many cases it’s not so much due to our laziness as it is to do with being able to afford it. Exercise classes and gym memberships can be really expensive, and sometimes it’s not so easy to justify the cost when we have bills and mortgages to take care of first. But the huge number of discounts on gym classes at Groupon’s wellness section mean it may be time for a rethink. 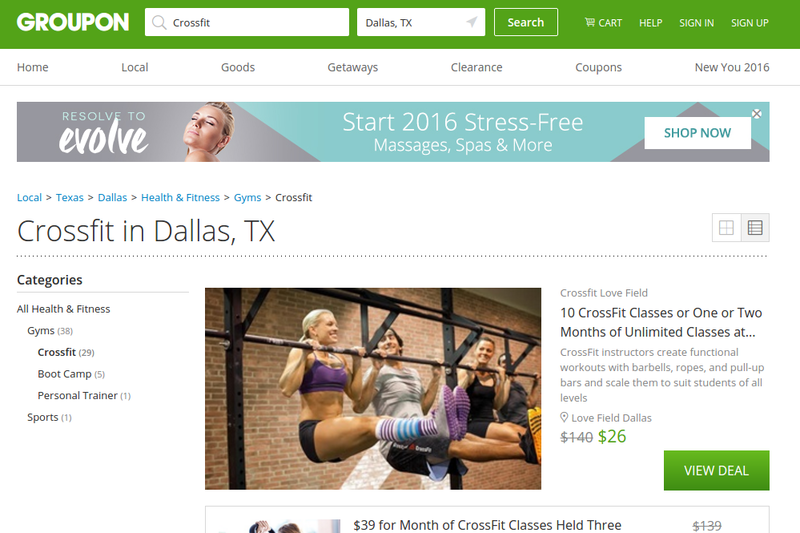 With discounts of up to 50 percent available for crossfit in Dallas, and many other offers available, it’s suddenly become a lot cheaper to stay in shape!